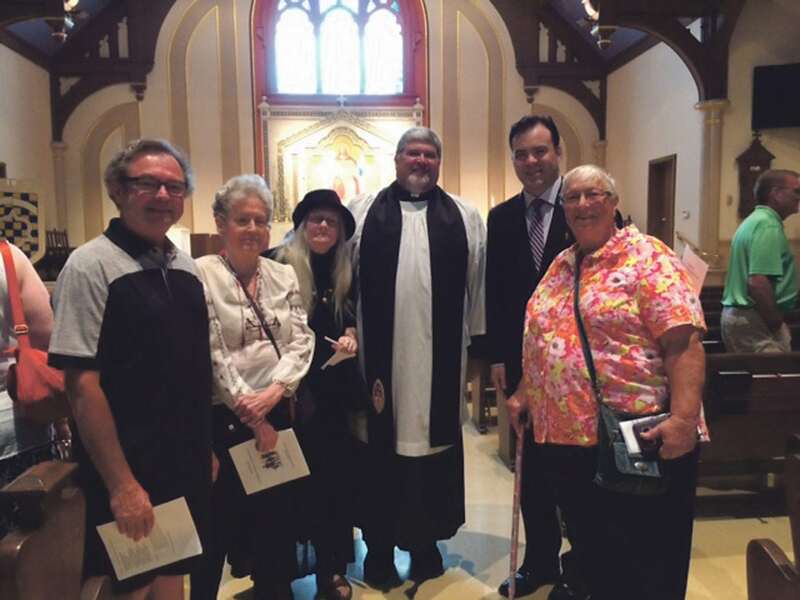 Photo submitted to Times Observer A few of the 35 attendees at Trinity Episcopal Churches Prayer Service for Immigrants, Migration and Refugee Families, held Saturday, June 30. From left are Steven Blume, Dr. Karen Black, Sally Eaton, Father Tim Dyer, who led the Service, County Commissioner Jeff Eggleston, who participated in the service, and Pastor Madeline Edwards from the United Church of Christ. The Osram-Sylvania retired ladies will meet for lunch at 1 p.m. Friday, July 6, at Cable Hollow. Photo submitted to Times Observer Alex Hangge, a member of the Sugar Grove Rough Riders 4-H club, also a member of the Grove City Equestrian Team (Interscholastic Equestrian Association), qualified for the semifinals in Findlay, Ohio, on June 2 where she was champion of the Future Intermediate Horsemanship level. This qualified her for the National IEA competition held in Oklahoma City on June 23 where Alex was Reserve Champion, putting her second in the nation for the year in the Future Intermediate Horsemanship level. 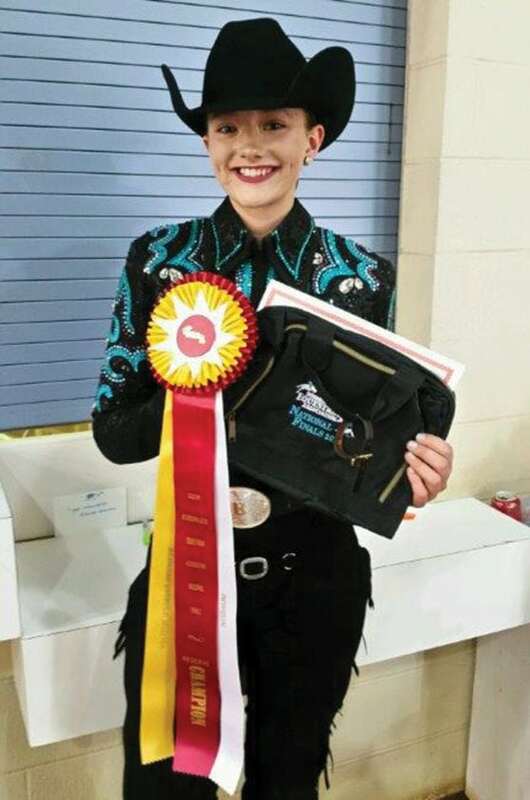 Alex placed fourth at nationals as a sixth grader and will advance to the Grove City Equestrian High School team next year under the direction of coach Tammy Braham, who is the Slippery Rock and Clarion State Equestrian coach as well. Alex hopes to eventually be recruited by a NCEA or NCAA team upon graduation in 2022. 3rd-Cindy Schumann and Donna Hickey with 33. 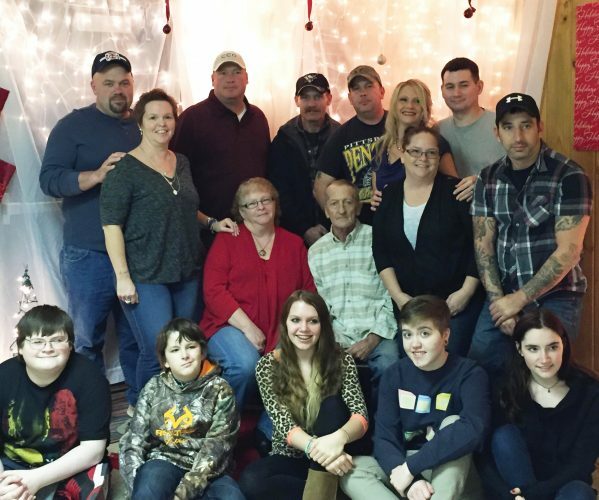 Youngsville High School has a summer tradition of a family reunion-style get together for all Y.H.S. alumni and guests who graduated at least 50 years ago. This year, the YHS Class of 1966 is host. The YHS Class of 1967 the honored guests. 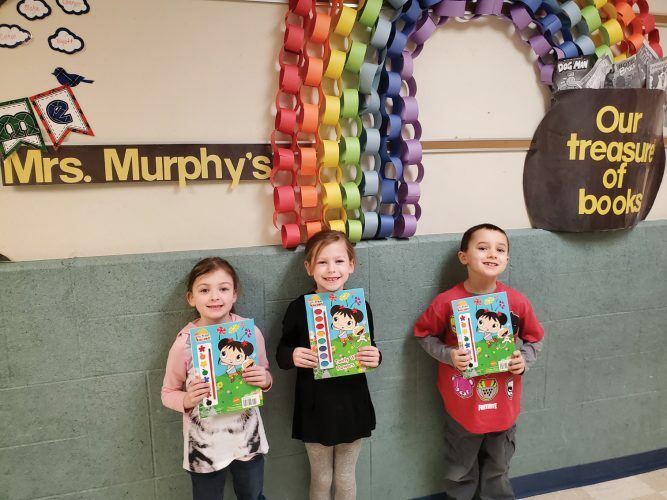 Photo submitted to Times Observer Eisenhower Elementary School teacher Karen Lindell assisted AMVETS Post 50 with its Americanism contest by having students complete a flag coloring contest. 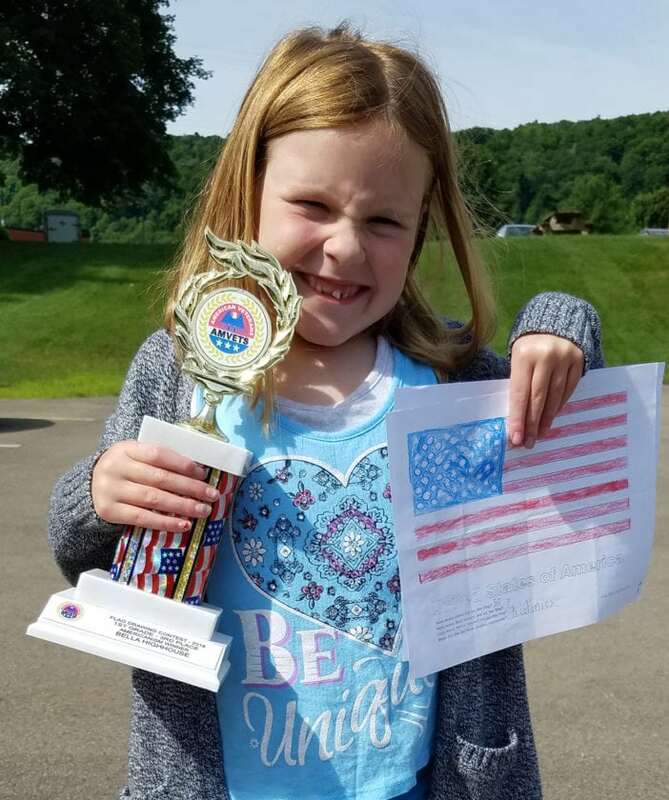 During the AMVETS Department Convention, Bella Highhouse received a third-place award for first-graders entering the contest throughout the state. The 2017-18 theme was “Why is the Constitution important to me?” Bella is the daughter of Michael and Autumn and a student in Ms. Morrison’s class. Mark July 10, 2018, on your calendars to attend this event. We ask that you bring a dish to share. Beverages, sandwich fixings, plates and silverware are provided. The party starts at noon at the Youngsville Fire Hall. 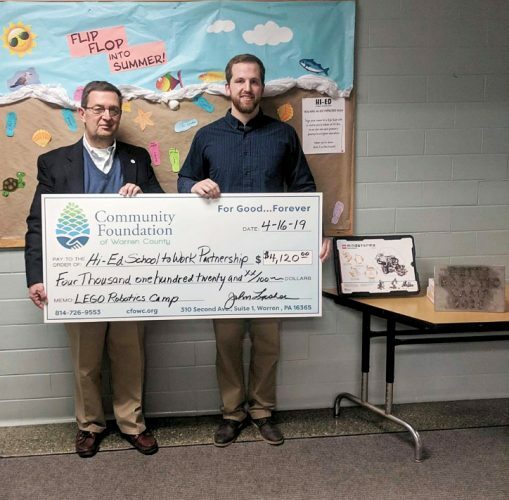 For more information, call 814-730-2385. 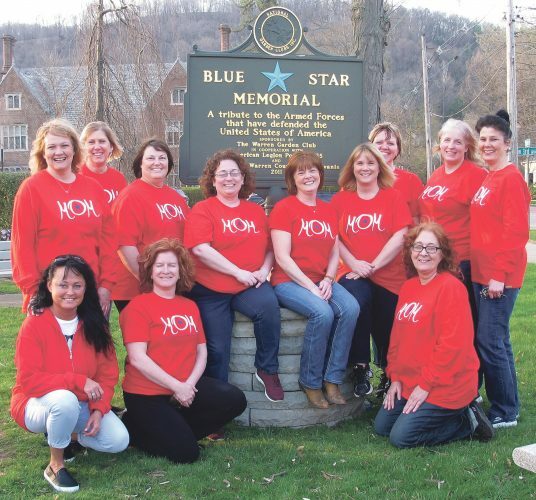 “A Red, White, and Blue Luncheon” will be the theme of the Village Missions Country Partners, Warren Christian Women’s luncheon on Tuesday, July 10, at noon at the Allegheny Community Center, 42 Clark St. Warren. Featured guest will be Dr. Julie Boozer of Scandia School Museum who will recreate in period costume a Swedish immigrant’s journey of settling and establishing a church and school in Scandia. Music will be provided by Jonathon Keefer, Warren, and spiritual speaker Carol Reese of Erie will speak on “Life’s Wake Up Calls.” Members may wear red, white, and/or blue attire. New guests, men as well as women, are always welcome. A $9 fee covers lunch and speakers. Call Lee Jones at 723-5952 for reservations. Ask about our complimentary nursery provided at First Church of the Nazarene. Give us a try; our speakers are inspirational, and you will not leave disappointed. Photo submitted to Times Observer AMVETS Post 50 in Sugar Grove attended the 73rd AMVETS Department of PA convention in Reading recently. 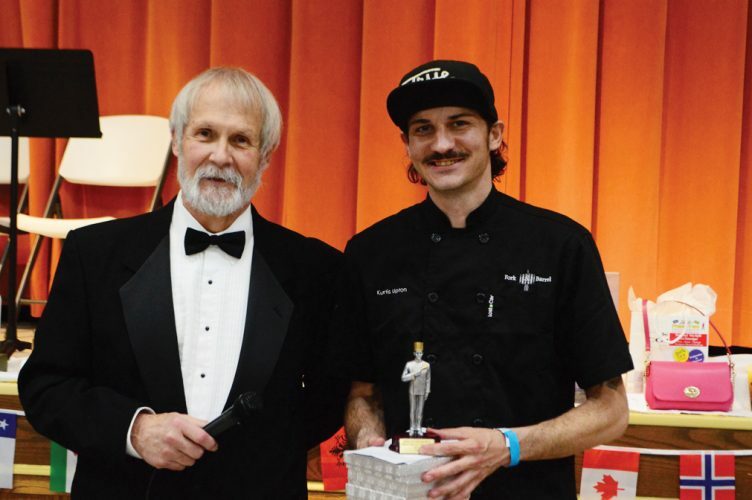 The Post received the Most Patriotic AMVETS Post in the Commonwealth at the Americanism Awards Program. 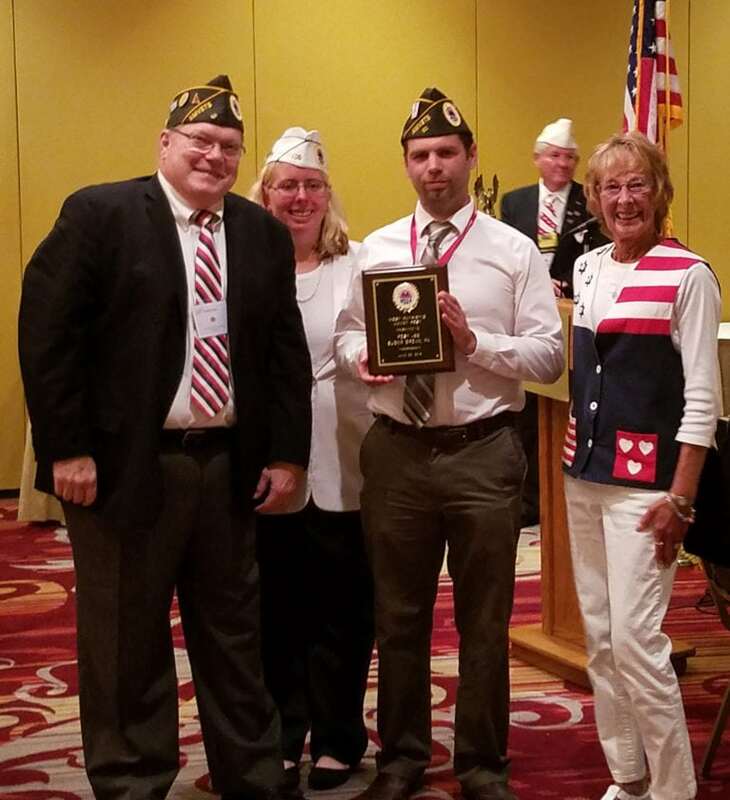 Presenting the award is AMVETS Americanism Chairman Gerry Egan and Auxiliary Americanism Officer Mariah Wagner; accepting the award is AMVETS Post 50 Commander Adam Yurchisin and AMVETS Ladies Auxiliary Secretary Judy Fry.